We are specialised in AR- and GLOCK gun and rifle platforms and offer modification and installation of sights and accessories of any kind. Please note that, no modifications that require a german gunsmithing license are excluded! 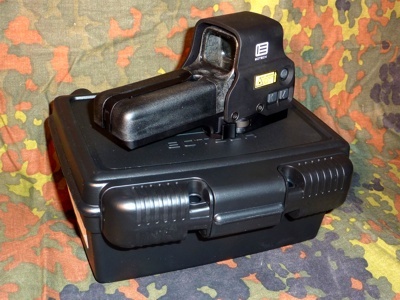 Our Favourite: EOtech 558: compact, reliable, precise! The 558 is compatible with Gen-I-III night vision devices and features an adjustable, locking quick detach mount that offers tool-free removal. 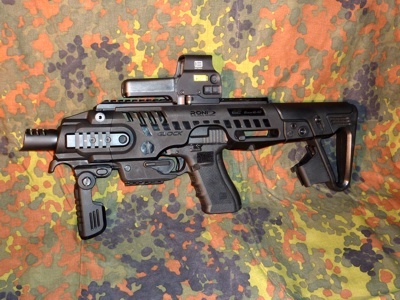 The operational buttons are located on the side of the sight. BlinkTroll is a moving target that you can bring anywhere, it does not need a railway to run, a static rope will do. Imagine the possibilities when you can just attach a rope between two trees and run the target immediately! And there are no wires, no need for grid power or heavy car batteries. All you need is your smartphone; and then tell the target what you want it to do. Our moving target is a new way to think about shooting, to achieve mastery of the art. We stock many* of those components which are also in service with us. Feel free to arrange a test with us! 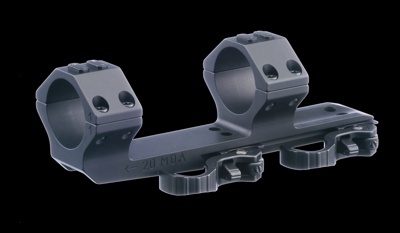 The ERA-TAC tactical mounts are of the finest craftsmanship. We use these mounts for years now due to their ruggedness and reproducability of aim after removal-refitting. 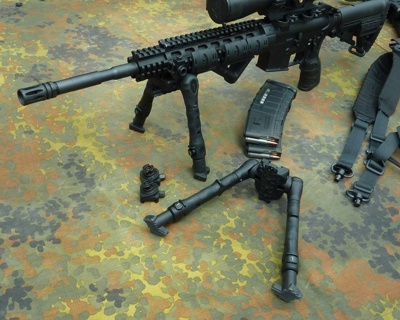 We are mixing five types of optical sights, rifle scopes and target indicators with several firearms, ranging from pistol over semi-autos to shotgun with no issues in precision. Please send us your enquiry. We'd like to assisst you in finding your perfect solution! 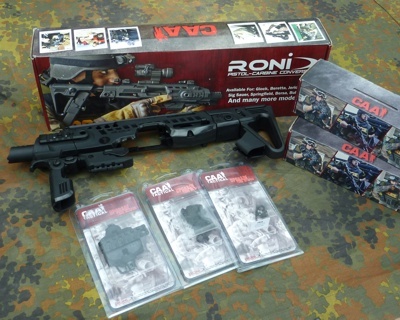 The RONI Pistol-Carbine conversion kit provides you a better grip, stability & 4-rail Picatinny platform for many accessories. Now you can use your pistol for a greater range, faster aiming and better accuracy. Video is (c) and courtesy of CAA tactical. Add-ons are brass catcher, single- or dual-point sling as well as a handy carrying-case. *We don't deliver any parts that require special permits or are prohibited by German law. If you are interested in firearms or ammunition please contact our associate firearms dealer, Rothe Firearms, Germany.